It’s no secret that children love spaghetti. But what else is important to children in terms of food? Our Chef Burkhardt Weitzäcker explains how he developed children’s inflight meals together with famous German Chef Cornelia Poletto. 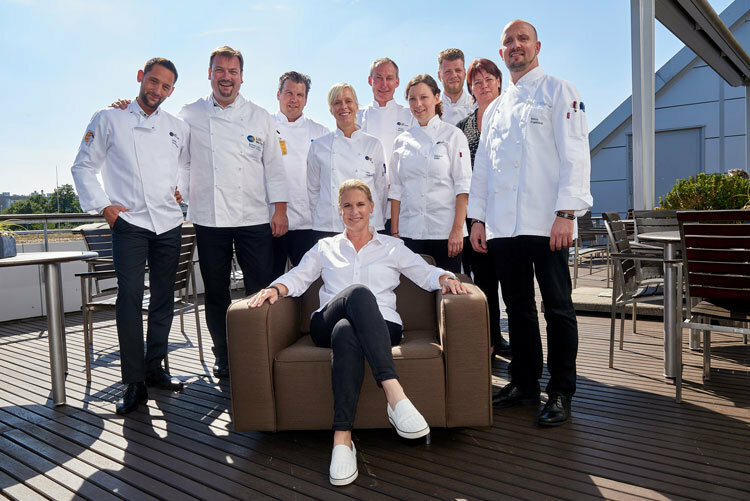 Mr Weizsäcker, how did the collaboration between LSG Sky Chefs and Cornelia Poletto work in creating the menu? The basis of our cooperation was very good rapport. One of the highlights was, of course, when we met at Cornelia Poletto’s premises to discuss our shared ideas for the children’s menus. Prior to this she had already developed her initial ideas for the menu, and we had given our feedback. Cooking the recipes we developed together in our test kitchen in the FRA ZD facility was also a lot of fun. What do you have to focus on in particular with children’s menus? Children need to be able to understand the menus. This applies to the descriptive text as well as to the ingredients. Also, when it comes to the flavour components, it cannot be too spicy, too sweet, too greasy, or too unusual. The menu is in the air now – how has the feedback been? The menus have been very well received by the children. Appropriately designed trays and menus do the rest. What was particularly enjoyable during the development work? The presentation itself. When 16 children between the ages of 3 and 12 are romping through the rooms, that is something quite extraordinary. The children picked their favourite dishes from the various choices and in doing so really determined what is going onto the tray. The target group had the last word here, not Lufthansa. It’s a whole new approach and one that makes a lot more sense in my opinion. The collaboration with Cornelia Poletto was very professional, and we “goaded” each other into new creativity in order to provide the best for our Lufthansa customers.